Episode 11 recorded on International Women’s Day when we were happy to have as our guests - Amanda Robinson and Kiki L’italien… 2 ROCKSTAR women business owners. WOW. That’s the one word I can come up with to describe Episode 11! Host Megan Powers, along with her co-hosts Elizabeth Glau and Jen Cole, welcome two marketing experts -- Amanda Robinson and Kiki L’Italien. Owner of Social Savvy Society - Digital marketing services and strategy. From Facebook ads to social media content strategy, see how she can help you increase your digital footprint. She’s making business life easier for the less digitally savvy for small biz & real estate. Founder & CEO of Amplified Growth & host of Association Chat. Amplified Growth is a DC-based digital marketing consultancy specializing in SEO, social media, and content strategy for associations and commercial clients. Whether you’re a seasoned pro or a beginning marketer, we guarantee you’ll gain a ton of valuable insight from this one. Sit back and relax, and make sure you have a way to take some notes (or re-listen if you’re driving or working out!) -- you’ll want to... on this Making a Marketer. We are “Making a Marketer”... in all ways. Check Ep.11 out -- and if you’re so inclined, we would love for you to subscribe, rate, & review us on iTunes -- https://bit.ly/mamITuneNEW. Get each ep. when it drops! Megan Powers and her co-hosts Elizabeth Glau and Jen Cole - along with their guests - talk exhibiting on this one. This is part of the marketing equation, so we thought we should speak with two meeting industry (and marketing) pros on this important topic. Danalynne Menegus is a B2B Marketer, Writer, and Storyteller. She currently works as an Editor and Writer for Corporate Event News and as a freelance writer, editor, and marketer. Terence Donnelly is Vice President of Sales for Experient - has been there more than 13 years. He’s especially passionate about the technology that accompanies the events space, and within exhibiting in particular. He’s also one of the hosts of TSNN’s weekly “Tweet Chat” called #ExpoChat - every Wed. at 1pm EST. Having exhibiting at tradeshows in your marketing mix is certainly something that makes sense for many businesses. We talk quite a bit about that, but we also talk about how to select which shows to participate in, and what else you might be able to do alternatively as part of a trade show. We also discuss hosted buyer programs, including social media as part of your communication plan (sponsor benefit! ), and more. Sit back and enjoy this insightful conversation with two of the best folks in the industry. We are “Making a Marketer”... in all ways. Check Ep.9 out -- and if you’re so inclined, we would love for you to subscribe, rate, & review us on iTunes -- https://bit.ly/mamITuneNEW. Get each ep. when it drops! Liz Lathan – Program Director, IBM Analytics & Hybrid Cloud Marketing Events, and a founding partner of Haute Dokimazo – a new kind of event conference. Nicole Osibodu – Co-Founder of Haute Dokimazo and Owner/CEO, Pink Pineapple Event Design. The Making a Marketer crew talk about this unique event Haute Dokimazo – an “un-conference” – with Liz and Nicole. They’ll explain what an “un-conference” is, and talk through how you actually market an event without a pre-set agenda. While events are marketing tools in and of themselves, having the opportunity to explore ideas and truly talk with other attendees is the best part. 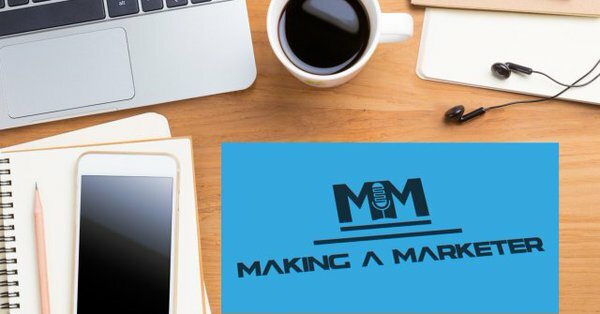 Make sure you listen to two great pros in the industry, along with the crew (also comprised of events marketing professionals)! We are “Making a Marketer”... in all ways. Check Ep.6 out -- and if you’re so inclined, we would love for you to subscribe, rate, & review us on iTunes -- https://bit.ly/mamITuneNEW. Get each ep. when it drops! Do you take part in “Twitter Chats”? Madalyn is the master, and we talked quite a bit about how she and her team handle her weekly high-volume #TwitterSmarter chat (Thursdays, 1pm EST). We also talked about the great importance of having your social media included in a crisis communication plan for events… Is she “team 140” or “team 280”? (If you don’t know what that means, you must listen! )… and so much more (even Netscape getting a mention on this one). Sit back, plug in and enjoy this one! We are “Making a Marketer”... in all ways. Check Ep.4 out -- and if you’re so inclined, we would love for you to subscribe, rate, & review us on iTunes -- https://bit.ly/mamITuneNEW. Get each ep. when it drops!